Need to sell your car? Kelly Car Buyer wants to buy your car whether it's wrecked, doesn't run or maybe you just need to get out from under. We have outlets around the country and we same day pickup. Do you have a blown engine, no transmission or is your car just not worth fixing? We'll buy it! We'll remove old junk cars no matter what condition they're in. We come to your home, business or even if the car was towed to a salvage lot, we'll pick it up for you 7 days a week. We Buy Junk Cars - Top Dollar Paid! 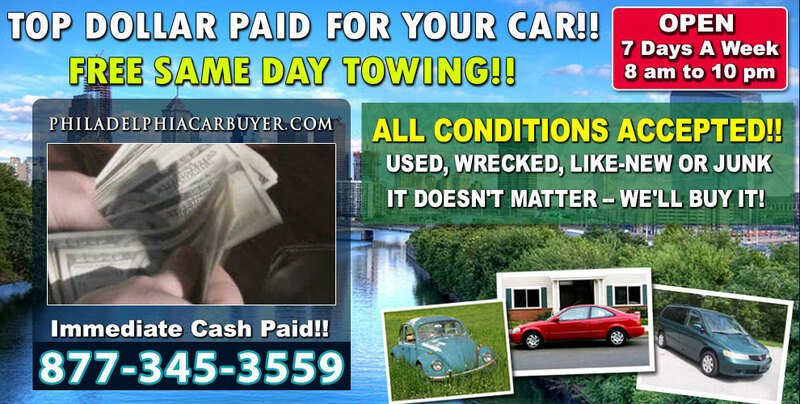 Same Day Free Junk Car Towing!